Video caption: Here is a glimpse into the work of a Goth taxidermist.Here is a glimpse into the work of a Goth taxidermist. Kelly Potts Martinez, who is from Monkokehampton in Devon, transforms dead animals into clothed "people". A3071 Cornwall both ways severe accident, from B3306 to New Road. A3071 Cornwall - A3071 in Higher Bosavern closed in both directions from the B3306 junction to the New Road junction, because of an accident. Dry on Monday evening but cloud will tend to increase overnight. Spells of rain will move their way slowly south and east with winds remaining light. On Tuesday cloud and early rain will move away to the east with sunny spells following. However, there will be showers too, possibly heavy with hail and thunder, and wintry on some hills. A four-month-old puppy was abandoned in a car by a man who ran off after the vehicle was stopped by police. Officers tweeted that the hire car was stopped in Devonport area of Plymouth on Monday and searched for drugs when the driver then ran off. Police said they were still seeking the man for a number of offences, including driving while disqualified, driving with no insurance and other road offences. The dog was returned to a "responsible family member", officers added. An academy trust in Devon is consulting with staff about the potential loss of the equivalent of up to 50 full-time posts, its chief executive has confirmed. The South Dartmoor Multi Academy Trust, which runs seven schools in the area - including in Ashburton, Buckfastleigh, Moretonhampstead and Widecombe-in-the-Moor - has started consultations on cutbacks which could affect up to 75 full-time and part-time roles. Parents and pupils took part in a protest outside South Devon Community College on Monday morning against the possible job cuts. Trust chief Rachel Shaw said it was "with regret" that consultations had begun with staff and the unions, and it was hoped fewer staff would be affected. She added that, like all schools, the trust was required to balance its books and it has exhausted other means of cutting cost, but that she was also grateful to parents who had been supporting a case in pushing for more funding. 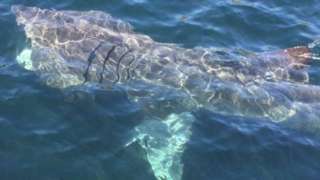 The female shark was spotted by a boat skipper off the coast of Cornwall near Falmouth. 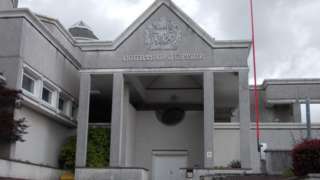 The boy's mother and stepfather are given suspended jail terms for child cruelty. 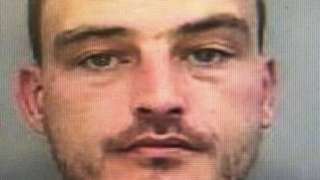 Police said Mr Amos was wanted in connection to an allegation of assault in Penzance on 8 March. 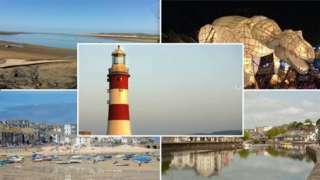 It's 10 years since Cornwall switched to a unitary authority. The new council - which replaced one county council and six district and borough councils - was designed to do away with some of the waste and duplication of a two-tier system of local government. Russell O'Connor stole handcuffs and patrol car keys and was arrested wearing a police fleece. 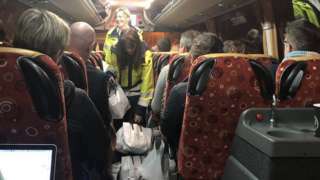 Flybe passengers have to take a six-hour coach trip when a flight on a new route is cancelled. The former mayor of Seaton has been formally censured by East Devon District Council after he called for residents to avoid a local business on what purported to be an official tourist information centre Twitter account. Seaton Town Council reported Liberal Democrat Seaton town councillor and east Devon district councillor Peter Burrows to East Devon Council after he called for residents on 1 January to avoid a "local business who badmouths the Mayor", adding: "Please Avoid" on the tweet from the SeatonTIC account. East Devon Council concluded his tweet - made in "direct response to comments made by an individual who Cllr Burrows believed worked at the business concerned" - did breach the code of conduct. It said: "This was not the case and neither the business nor its owner had any involvement in the making of the comments in relation to Cllr Burrows." Mr Burrows stepped down as mayor at a town council meeting on 7 January. He remains a councillor. Students at the University of Exeter who are required to spend a year abroad as part of their degree say they are in limbo until a decision is made about Brexit. They are concerned the foreign exchange programme Erasmus may not get funding next year if there is a no-deal Brexit. Students said they could not book work or accommodation for placements due to start in six months time until they knew what was going on. The government said the draft EU Withdrawal Agreement means students in UK-based organisations would be able to continue to participate in Erasmus+ exchanges and placements post-exit until the end of the current Erasmus+ programme in December 2020. Its current no-deal arrangements include the government saying its underwriting of a guarantee made in 2016 still stood for successful Erasmus+ bids submitted and approved while the UK was still a member state of the EU. Other EU countires, however, have been advising their citizens against studying in the UK because of Brexit uncertainty. In February, The Guardian reported that Norway’s higher education minister said he recommended students "look at other countries than Great Britain". About 100 parents and supporters have gathered outside South Dartmoor Community College to protest against proposed job changes. It is understood a consultation is under way into possible changes at the South Dartmoor Multi Academy Trust - which manages seven schools - including potential job losses. About 75 roles may be affected across the trust, with 43 of those at South Dartmoor Community College in Ashburton. South Dartmoor Community College alone has about 1,300 students. The college's managing trust has been approached for a comment. Basking sharks can grow up to 39ft (12m) long and weigh up to seven tonnes. They are often spotted off Cornwall's coast, particularly during the summer because of a seasonal plankton bloom, which they feed on. People using the Torpoint Ferry are being warned of two months of disruption while one of the ferries is out of action for a refit. Tamar Crossings says three ferries will be running as normal until 09:30 on Monday, but one will then be taken out of service. Only two ferries will be in use until 1 June. We recognise that the reduction in service during refit periods is not desirable, however these refits are essential to maximise the life of the ferries and ensure that we continue to provide a safe and reliable service into the future." It's been confirmed the Red Arrows will be flying at the Torbay Airshow this year. The show will be held over Paignton Green on the first weekend of June. Organisers say the RAF Typhoon Display Team and the Battle of Britain Memorial Flight will also be performing. The operator of Cornwall's new regular air link with the world's busiest airport says it's proving a hit with passengers with strong advance booking sales. A four times daily service from Newquay Airport to Heathrow - operated by airline Flybe - was launched on Sunday. The airline will be using 78-seater turboprop planes. Taxpayers are underwriting the route thanks to an agreement between Cornwall Council and the government.